DataComm Electronics 8-Way splitter module is suitable for connecting video applications such as TV, HDTV and satellite TV. 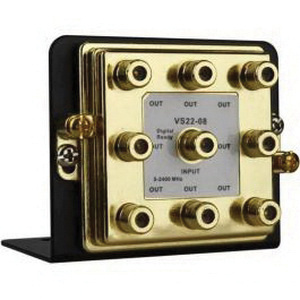 Splitter Module in gold plated finish, has coaxial cable and F-connector terminal connection. It has frequency rating of 2.4 GHz.